An underlying theme last week was strong rotation out of interest sensitive and defensive sectors into sectors that would benefit from an expanding economy and higher infrastructure spending. Even technology lagged as Trump's immigration policies and his desire to potentially restrict expansion of the H-1B visa program, may force up the wages of technology workers. On the campaign trail Trump indicated he desires to reform the tax code with a result of lowering the overall tax rate. One of his proposals is to reduce the tax on companies with cash trapped overseas. 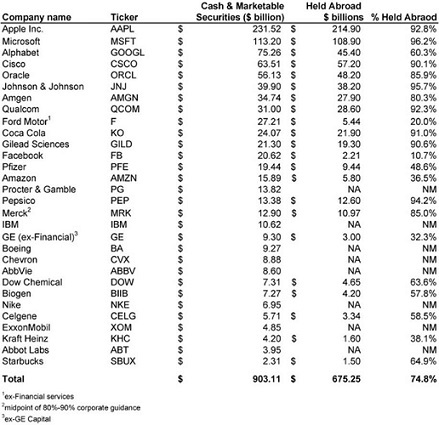 Below is a table outlining those companies with large cash holdings held abroad. Repatriated cash could be spent domestically, on higher dividends and stock buybacks. With the anticipation that Trump's tax cut plan and fiscal stimulus will translate into faster economic growth and potentially higher inflation, longer term interest rates moved higher last week. The price of the iShares 10-20 Year Treasury Bond ETF (TLH) was down 3.8% and the iShares 20+ Treasury Bond ETF (TLT) was down 7.3% (bond prices move inversely to interest rate moves.) 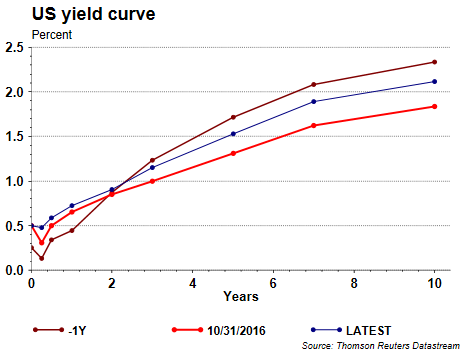 The move in rates can be seen in the yield curve comparison below. This move higher in rates has negatively impacted the performance of defensively oriented market sectors like utilities and staples as many of the companies in those sectors pay a dividend. During this low interest rate environment, investors have flocked to the dividend paying stocks. 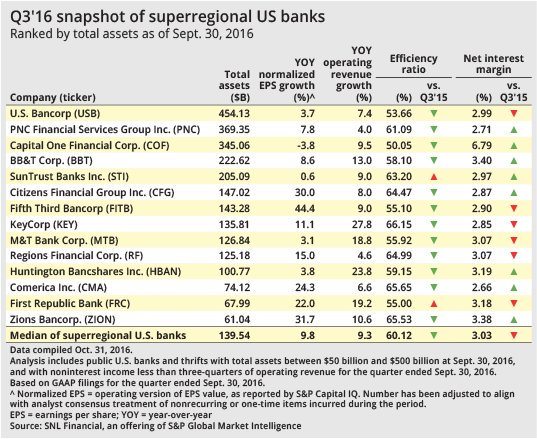 A continued move higher in interest rates could be a further headwind for these market segments. One beneficiary of higher rates, really a steeper yield curve (short rates lower than long rates), would be financials. Below is a list of some of the superregionals that may benefit from an expanding net interest margin. Additionally, faster economic growth would likely stimulate loan demand as well; thus leading to better profits for banks. Investors are likely to continue to adjust portfolios and rotate into and out of market segments that may be impacted by a new administration in Washington. 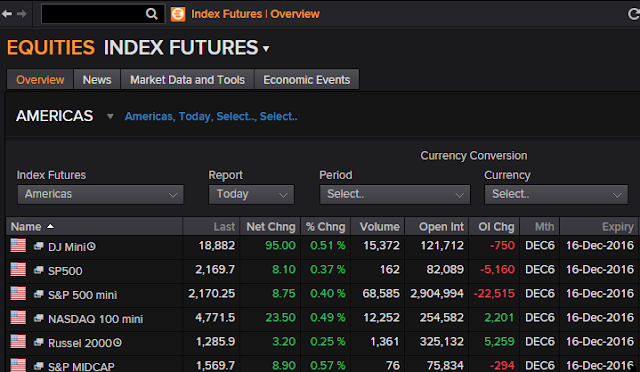 The market is certainly giving its blessing to the potential positive impact the policies could have on the economy. Additionally, the market is in a favorable seasonal period for equities, the November to May period. 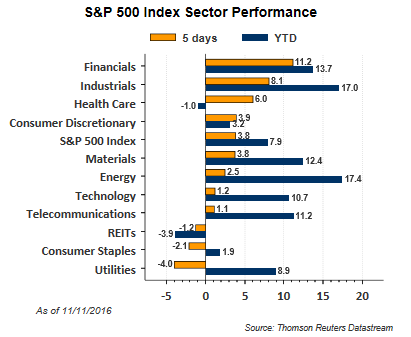 A number of stocks and sectors have moved significantly in a single week and pullbacks should not be a surprise. However, investors will want to keep an eye on adjusting their portfolio to this new policy dynamic if they believe Trump's policies will have the impact as seems to be playing out in the market at the moment. A caution though is the fact everyone seems to be rushing to the same side of the boat and that often does not turn out well.